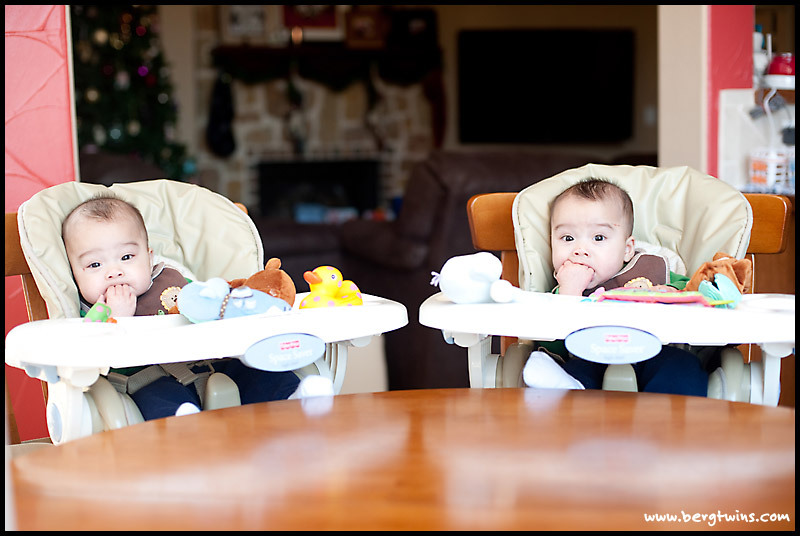 The day after Christmas we started preparations to start the boys on solid foods by setting up their new high chairs at the dining table. 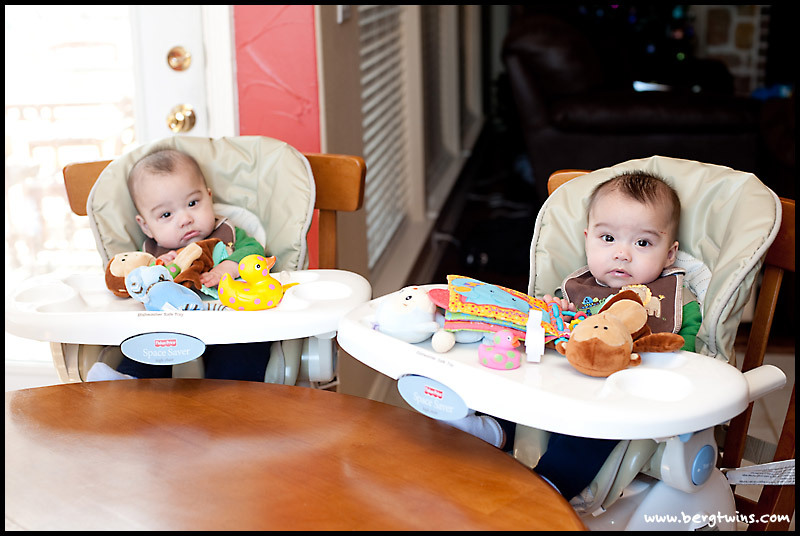 Here they are testing out their new big boy chairs... as you can see from their faces, they were still exhausted from Christmas! 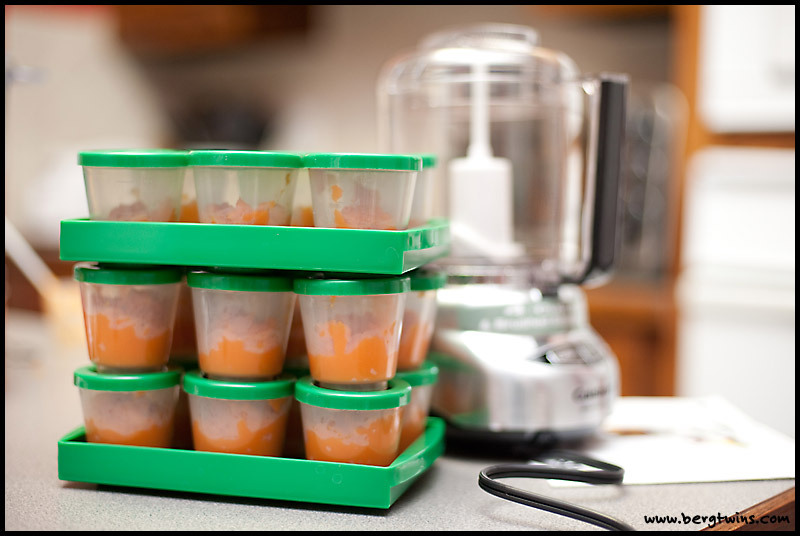 When the boys went to bed that night, Evan and I prepared our first batch of baby food... sweet carrots. Yummy, yummy!